"An American Idol for indie filmmakers"
The universe of independent film is expanding at an incredible clip, to the benefit of filmmakers and fans alike. But all that new space brings with it a whole lot of white noise, making it awfully difficult for aspiring—and even established—independent filmmakers to get their work noticed. The Audience Awards, a new online film competition, aims to level the playing field. The Audience Awards is a regularly occurring online film competition that is like American Idol for films: the film with the most votes wins. The first Audience Awards starts November 1 featuring the twelve 2013 International Documentary Challenge finalists short documentaries that premiered at Hot Docs, North America's largest documentary film festival. 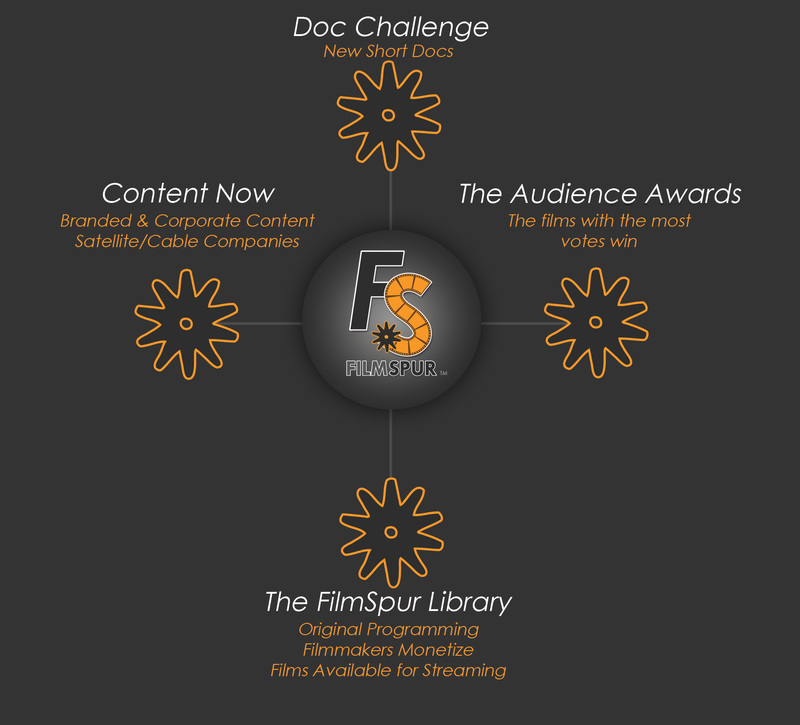 FilmSpur, host of The Audience Awards, recently took over The International Documentary Challenge. Competing film "Good Soil" won best of the IDC showcase and received distribution with POV and Documentary Educational Resources. Paige Williams, CEO and Founder of FilmSpur, states, “The concept behind The Audience Awards is simple,” an award-winning documentarian herself, “We believe that every film deserves the chance to prove itself to an audience. The films are our passion. The audience is our mission. We work to bring mass exposure to independent filmmakers and provide access to great films that are otherwise rarely seen. We empower filmmakers by providing a way to market their films and get noticed. We empower audiences by giving them the chance to vote for their favorites because at The Audience Awards, the films with the most votes win. The Audience Awards given at film festivals generally prove that the audience's pick is not the judges' top choice. It will be interesting to see if this holds true with the 2013 IDC showcase winner, "Good Soil." With the Audience Awards, the age of the social rating system catches up with the digital filmmaking revolution. The Audience Awards gives all filmmakers direct access to a world audience with feedback, exposure and real incentives to excellence. Traditional film festivals have served many independent filmmakers well. But now the Audience Awards lowers many of the barriers that kept great films from getting the notice they deserve and finding their audience. The Audience Awards kick off with the 2013 IDC Finalists Documentary Film Competition beginning November 1, 2013. Viewer voting determines the winner of the twelve films in competition. The Audience Awards continues in 2014 with the Short Film Competition beginning April 1, 2014. Viewer voting during the month will determine the best films in each of eight categories—Women Filmmakers, Live Action, Human Rights, Adventure, LGBTQ and Green Films. The top film in each category advances to the finals, held throughout May. The short film that garners the most viewer votes during that period will be awarded a $5000 cash prize and a deal with a leading distribution company. The Non-Profit Video Competition will begin on July 1st. Any non-profit organization in the country is eligible to submit PSAs, videos and documentaries into the competition, and viewers will determine the top 20% of those films through the month of July. In August, the non-profit film that earns the most viewer votes will earn a $5000 cash prize for its organization. For more information on The Audience Awards, visit http://www.theaudienceawards.com. Williams and Pearson will attend The American Film Market in November.